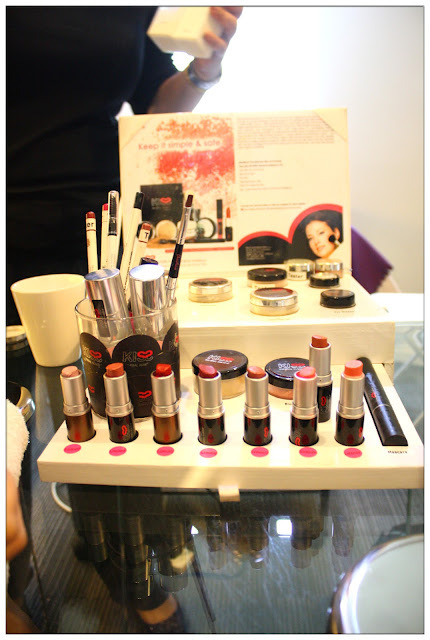 Link up by Fatin and Faceworks Clinic, Me, Jean and Lisa got invited to an intimate blogger workshop by KISS Mineral Makeup x Faceworks Clinic not long ago. 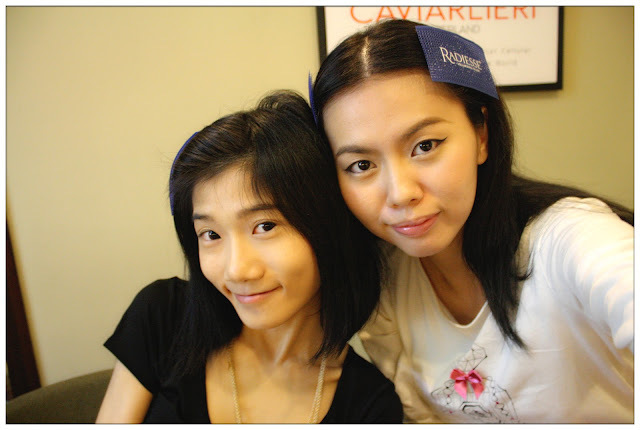 It was a quite amazing discovery that there's something about make-up and mineral make-up that I wasn't aware of. Of course, am gonna share what I learned that day here with you all today. Recommended by doctors and professionals. 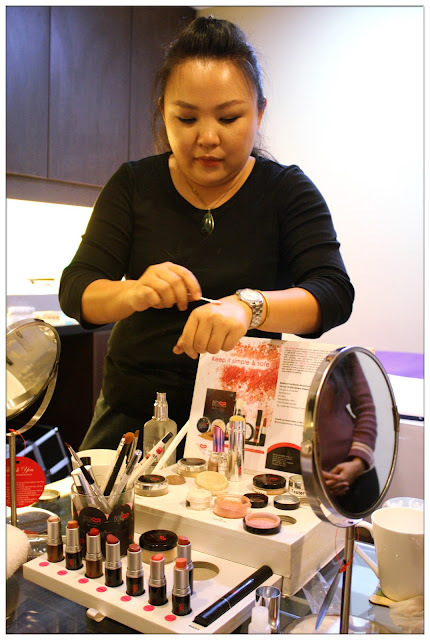 Make-up has become my daily, or ALMOST daily routine that I have to practice, and everybody knows how conventional make-up products are doing harm to our skin each day. Eventhough we protect our skin with skincare products and also make-up base, make-up products loaded with all sorts of chemicals are made into tiny particles nowadays so that the make-up will stay fit all day. 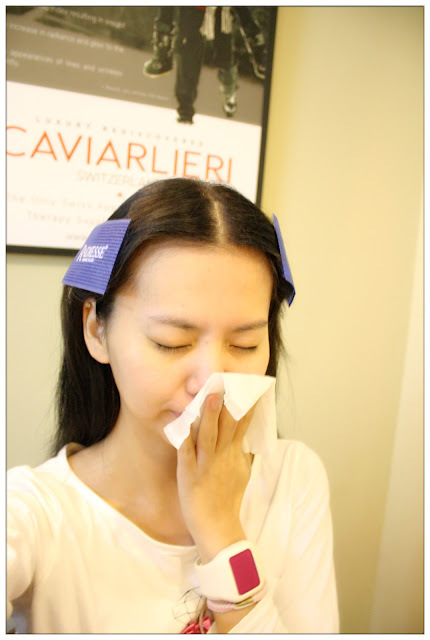 It is not a good sign as these small particles will clogged up our skin's pores and did harm more than good. 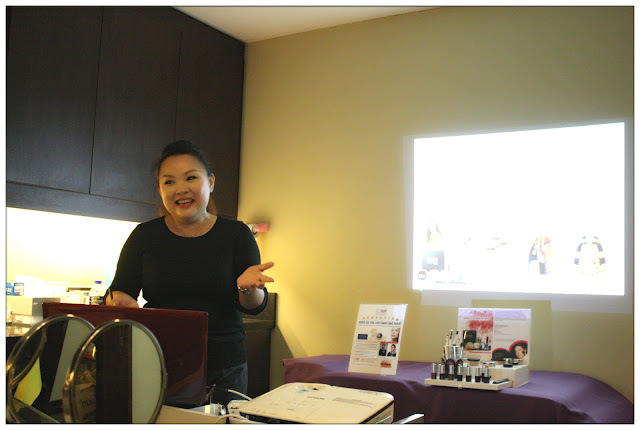 There are so many so-called mineralized make-up nowadays available in the market, but they are still not 100% mineral make-up like KISS that Faceworks Clinic is promoting, hence it is not as beneficial as 100% mineral make-up is. Although just recent years that mineralized make-up is becoming more and more popular in the market, but the fact is mineral make-up is already been used by one of the most beautiful empress of all time - Cleopatra back in her glorious Egyptian days. Yes, we're talking about thousands years back. in case you don't know, this is how Cleopatra's make-up is. And yes, she's using all minerals to do her make-up back in those days. 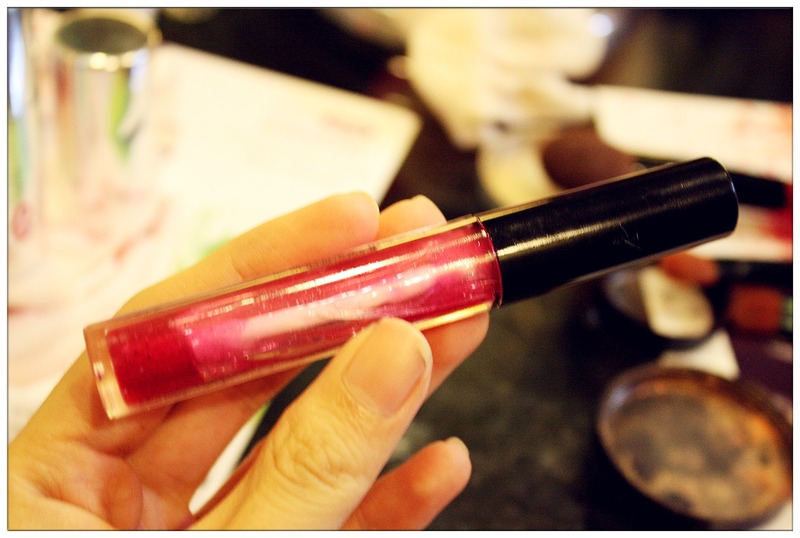 Like I mentioned before, mineral make-up isn't something new in the market. 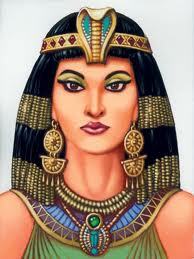 In fact, mineral make-up has been used for thousand and thousand of years back in the Cleopatra era. The Egyptians discovered the benefits of minerals, hence they use them to cover their face, which slowly evolve into something we call "Make-up" today. The Egyptians, Greeks and Romans used mineral as make-up, such as black kohl and green malachite were used by Egyptians while Greeks and Romans use chalk, honey and iron oxide. These "Earth Colour" are all natural, made of minerals from the ground on earth. These minerals can prevent eye diseases, protecting skin from climate changes and also some minerals are known for cooling effect on the skin after application. 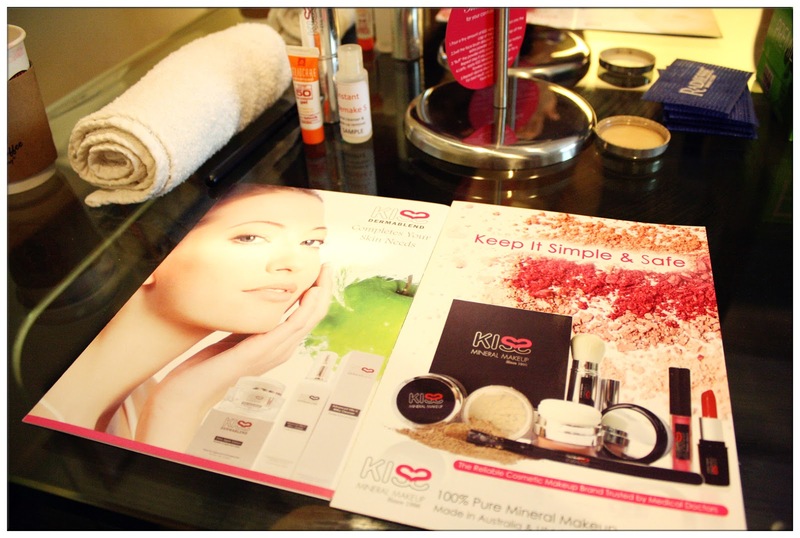 KISS Mineral Make-up are here to bring the brand's users back to what mineral make-up is for - protect our skin instead of doing harm to it. With Lisa, ready to try KISS now! I love this cleanser so much, it smells like orange. 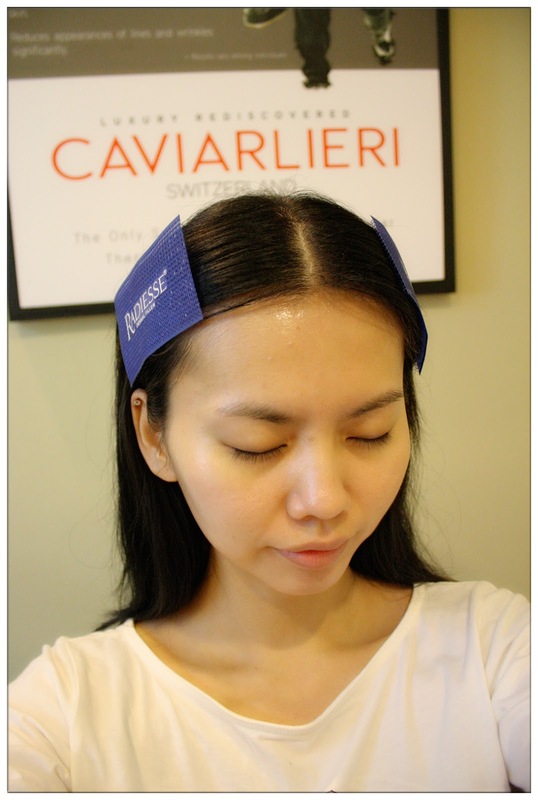 Before we start our own, Priscilla is going to demo on Dr. Marr of Faceworks Clinic of how to use the products, and we just have to follow the steps. 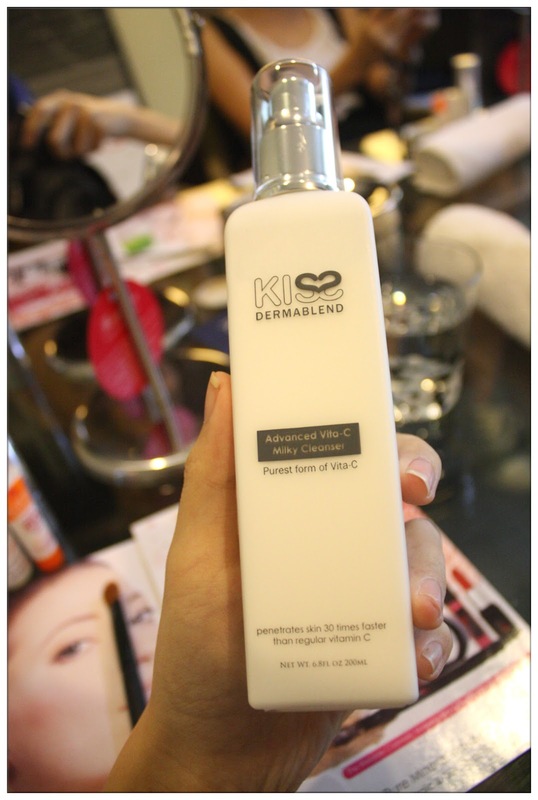 Love how the cleansing milk can easily cleanse off my make-up. Priscilla is applying foundation on Dr. Marr. 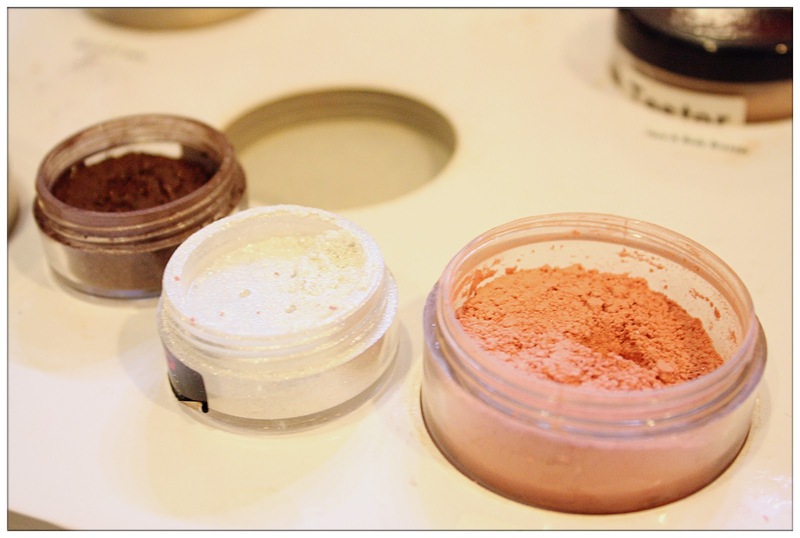 Did you know that 100% mineral make-up doesn't have any other form other than powder? Because it contains 100% pure mineral and it won't clog up the pores of our skin like how conventional make-up products in liquid/cream form does. Using 100% mineral make-up is like putting on a layer of mineral mask on face instead of having the make-up products entering our pores and goes into the skin's epidermis layer and end up going into the blood stream. Yes, is that little for a very light and basic foundation. If you feel like you wanted your make-up to be more heavy, put on another and another layer on your own preference. 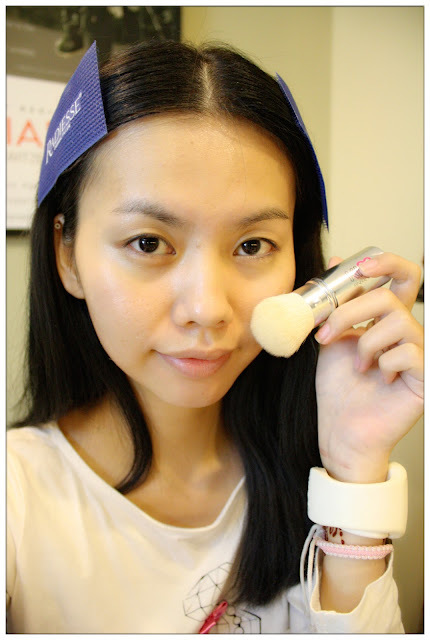 Brush the foundation on, in circle mode. For those dark eye circles and red spots, you can use a smaller tip brush, dip some powder and brush on the area you wanna cover more. It really amaze me such light weight powder can cover up my face and at the same time, leaving me feeling fresh and free. My face are totally oil free until late night that day. Love the feeling how my skin feels after applying KISS foundation powder. While I'm brushing on the foundation powder, Priscilla is doing some magic. 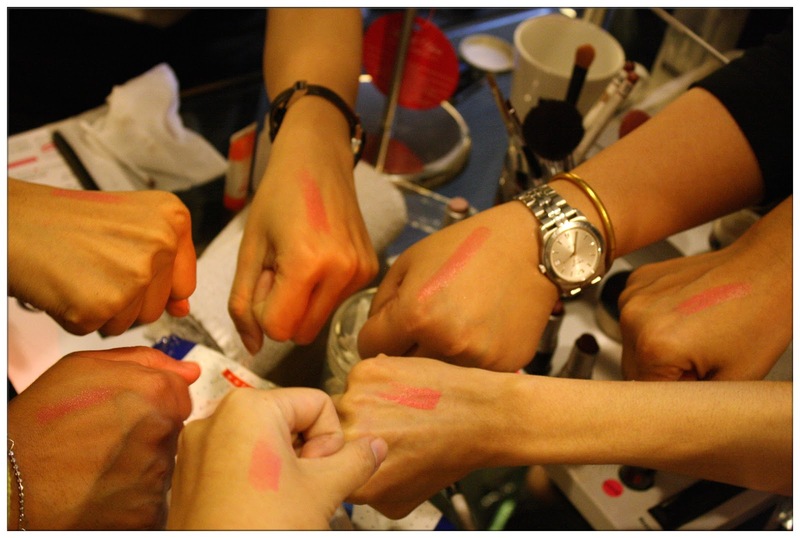 One of the most harmful make-up product a woman can be using is lipstick. Imagine all the chemicals we consume into our body that will just stay inside our body until it's fully loaded, and in the end, our organs and body system starts to breakdown, especially our kidneys. It's very scary isn't? I'm not really a lipstick fan, but I do aware how harmful these can be to my body. Some of the lips problem, such as crack, discolouration, dry, sensitive, can be due to the environment and also the lip products we're using. KISS make-up's lipstick are recommended by doctor to their patients who love to make-up so that they can use the lipstick at the same time protect their lips. What Priscilla was doing is to turn KISS mineral make-up, can turn their blush powder into gloss, just add the blush colour to vaseline and voila, you can have the same colour tone of blusher and lip gloss! it's all about matching cheek colour and lips. 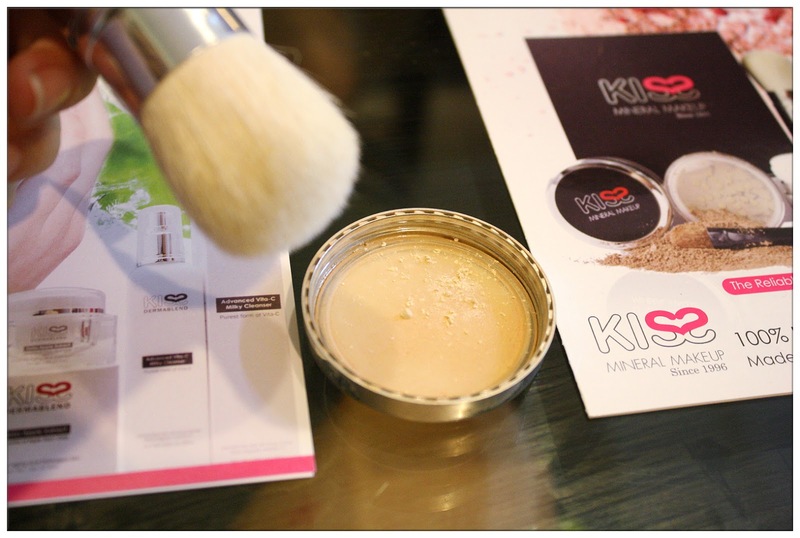 These are KISS mineral make-up's blusher, highlight and eyeshadow. While the upper stroke is the dry way, the lower stroke which colour appears to be more vibrant is drawn using wet cotton bud. If you want to, you can also add the powder of eyeshadow into clear nail lacquer, you can create your own nail polish colour which matches with your eyes. Uber cool right? Not to mention, eyeliner is a must in my make-up dictionary and this eyeliner is so easy to draw. 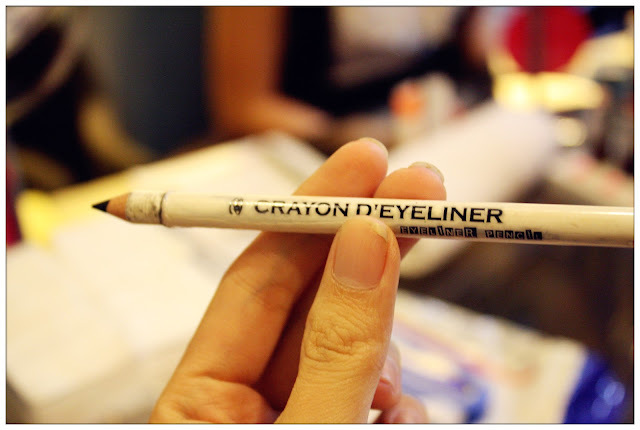 Plus they are REAL black kohl eyeliner and non-smudging as well! 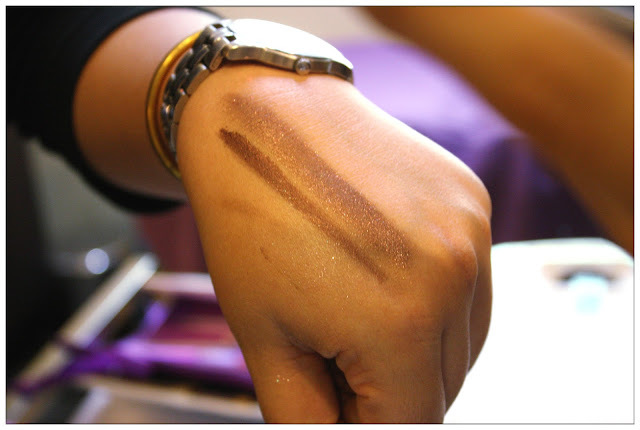 Look at what ONE lipstick can appear as a few different tones when apply to different skin tone. This is how unique KISS make-up is! Instantly plumps up your lips, gorgeous looking kissable lips in just seconds! Voila~! 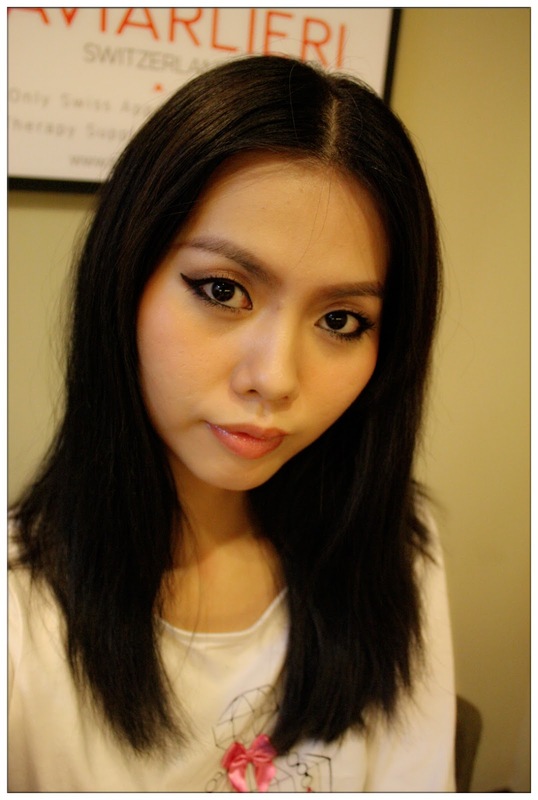 Make-up done using KISS 100% mineral make-up. 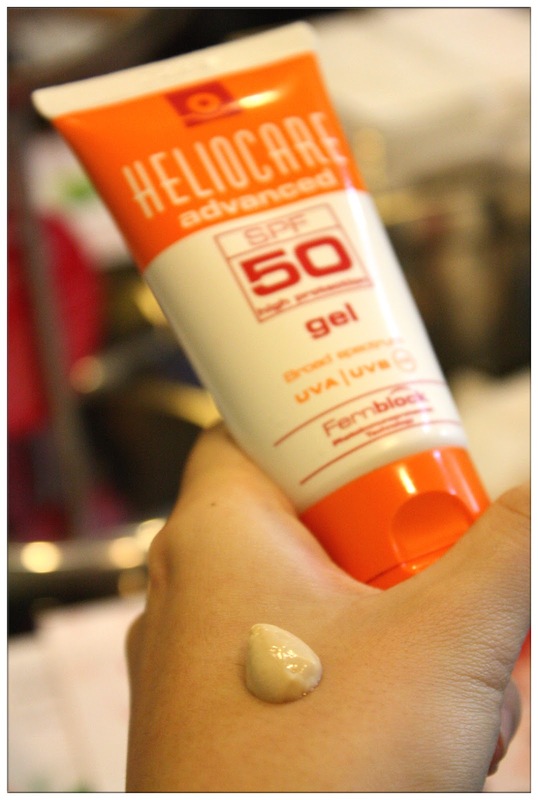 Everything is so light-weighted, there's zero burden on my skin that day! Imagine I wore the make-up from 2pm until midnight, and there's no smudge, withstand my sweat (because I went to Dash Berlin concert with the make-up) and long-lasting! 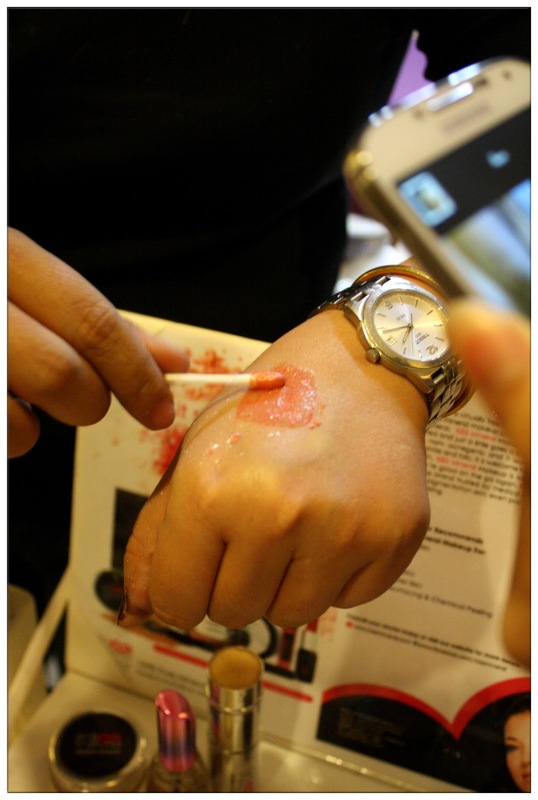 KISS mineral make-up makes my look so smooth and also protect the skin with no chemical damage done to it. From left, Fatin, Jean and Lisa. Last but not least, with Dr. Marr and Priscilla. I’m really amazed with your posting skills as well as with the layout on your blog site. Is this a paid style or did you modify it yourself? Either way keep up the pleasant quality writing, it is rare to see a great site such as this one these days.I recently came to know about www.avanaaustralia.com, their Mineral Makeup products are very effective.